Provide comfort for the family of Suzanne Venditti with a meaningful gesture of sympathy. 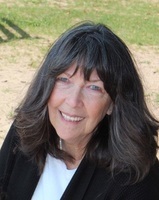 Suzanne Marie (Walsh) Venditti, 73 of Fayetteville, lost her courageous battle with metastatic breast cancer surrounded by her loving family on March 4, 2019. Suzanne went by names - Suzie, Sue, Suzie Q or Qzer but her greatest accomplishment in life was to be known as Mom and Noni to her daughter and grandchildren. She was a longtime resident of Fayetteville and previously lived in California and Tennessee. Throughout her lifetime she held various positions including owning and operating small businesses and bookkeeping jobs. She most recently retired from the FoodBank of CNY to embark on her dream job of taking care of her grandchildren. Her face lit up at the mention of her family. Sue was passionate about spending time with her family and friends and many referred to her as a second mother. She was generous with her time and always willing to lend a helping hand. She enjoyed trips to the casino with her friends, golfing at Woodcrest, especially the 9th hole, cooking, baking and working on jigsaw puzzles. She is loved beyond words and missed beyond measure. She will be held in our hearts forever. She is survived by her daughter, Nicole (Todd) Halbig; Ella, Harlow and Carter, her grandchildren; and Jeff Shell, her partner and love of her life. She leaves behind half brothers, James Walsh and Tom (Karen); the Venditti family; and several nieces, nephews, cousins and close-knit friends. She is predeceased by her parents, John and Gertrude Walsh, sisters, Eleanor Diamond and Joan Allen. Calling hours will be Friday, March 8th from 4-7pm at Eaton-Tubbs Fayetteville Chapel, 7191 East Genesee Street, Fayetteville, NY 13066. A celebration of her life will begin at 11am at the funeral home on Saturday, March 9th. In lieu of flowers, memorial donations may be made to Carol Baldwin Breast Cancer Research Fund of CNY, PO Box 87, Warners, NY 13164 or online at findacurecny.org please indicate in comments Sue Venditti or Food Allergy Research and Education (FARE) foodallergy.org. These organizations were very dear to her heart. Thank you so much. I love hearing how special she was to others too. Sue was a high school classmate of mine at St. Anthony Of Padua High School in Syracuse New York. Sue was always a positive thinking person with a zest for life. She has now gone on to her well earned Eternal Reward. I am looking forward to meeting Sue, once again, in Heaven, as she always was an angel, even while on Earth.